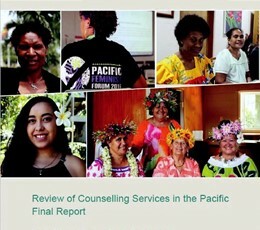 Welcome to the Pacific Women website where you’ll get the latest updates on the program as well as information and resources on gender equality from around the Pacific. 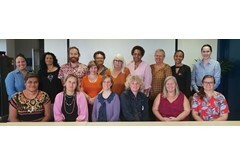 Pacific Women commits AU$320 million to improve the political, economic and social opportunities of Pacific women. It supports 14 Pacific countries to meet the commitments made in the Pacific Leaders’ Gender Equality Declaration working with a range of partners including Pacific governments, civil society organisations, regional and multilateral agencies and the private sector. Established by the Walkley Foundation, the Sean Dorney Grant for Pacific Journalism aims to encourage more and better journalism about the Pacific Islands region by Australian media professionals and outlets. A grant of $10,000 will be awarded annually to assist an Australian journalist to produce a significant work of journalism in any medium. The work will give voice to Pacific Island perspectives on an under-reported issue or development of importance to Australia and the region. Applications close on 7 May 2019. RRRT is seeking a consultant to coordinate and manage the development of the 2019 Human Rights in the Pacific Situational Analysis Report.